Going to Iceland has been on my wish list for years – I was enticed by the otherworldly landscapes, the rich cultural output, and, of course, the northern lights. Tourism to Iceland has more than doubled in the past six years, so I also wanted to get there soon before the crowds changed the experience too much. 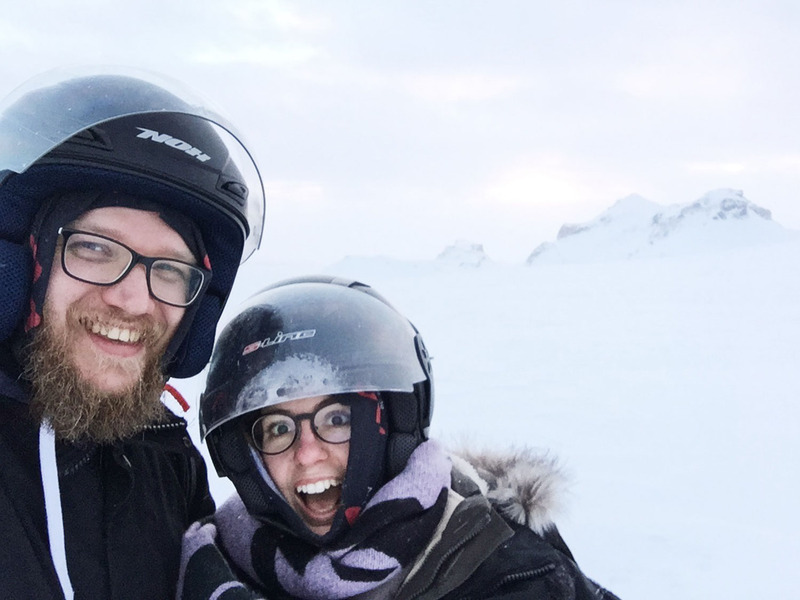 The only thing that was holding me back was the price – Iceland is a famously expensive place to travel – but I knew that it’d be worth it, so when the opportunity arose for us to go to Iceland in January, I decided the time was finally right. 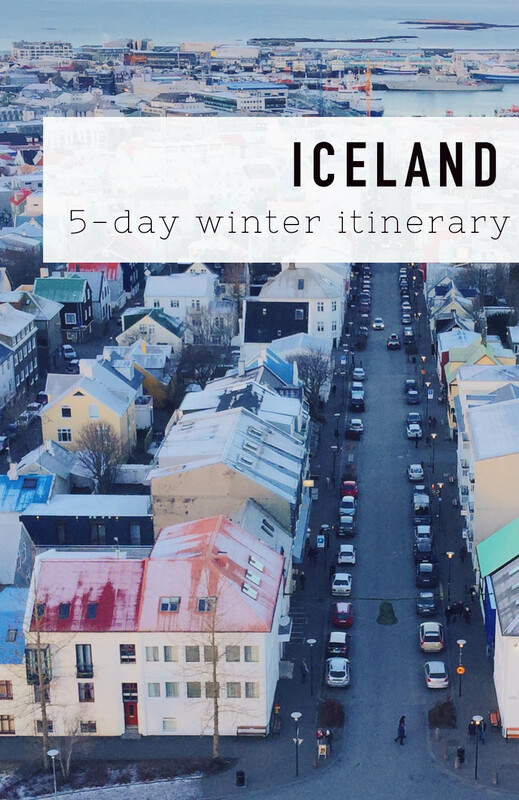 We booked our tickets just five days in advance, and put together a five day Iceland itinerary that would show us the best of Iceland in winter. 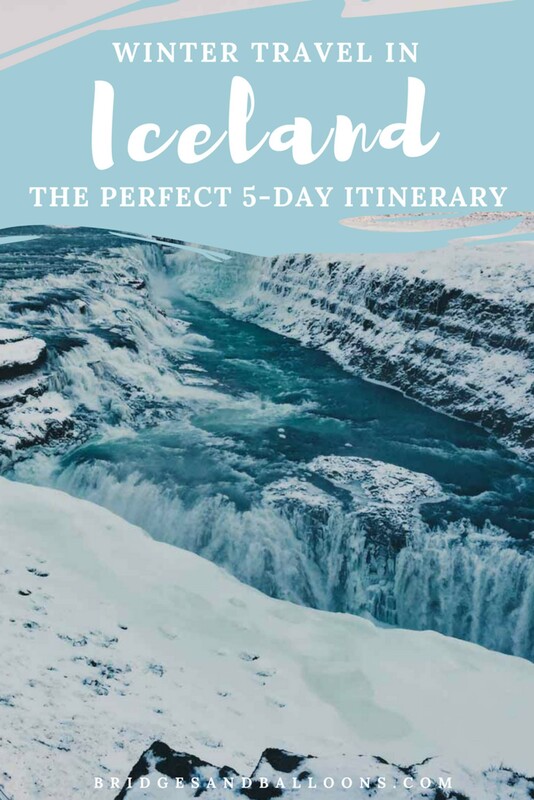 Although we booked it a short notice, we spent a lot of time researching our trip and planning the perfect 5-day Iceland itinerary. This post is here to help you save some time and money planning your Iceland trip. I hope you find it useful and, as always, please feel free to add your own Iceland tips and questions in the comments. We include advice on how to road trip in Iceland and some of the best things to do in Iceland in January. Golden Circle, including snowmobiling on a glacier with Mountaineers of Iceland. Ice caves, Jökulsárlón and Northern Lights tour with Iceland Travel. 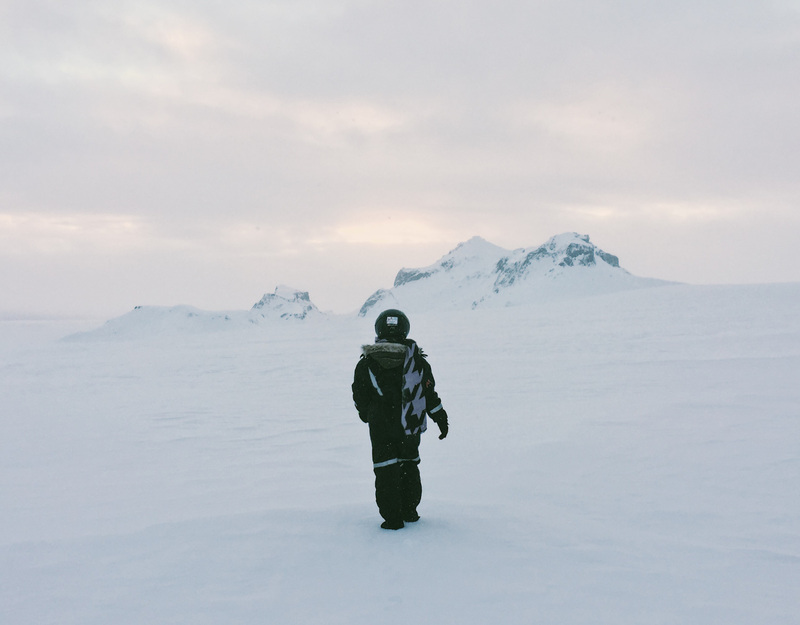 Read our female packing list for Iceland in winter and our guide to Iceland’s ice caves. The priority of our Iceland trip was to see as much of the country’s landscape as possible, and especially the parts that are unique to winter. 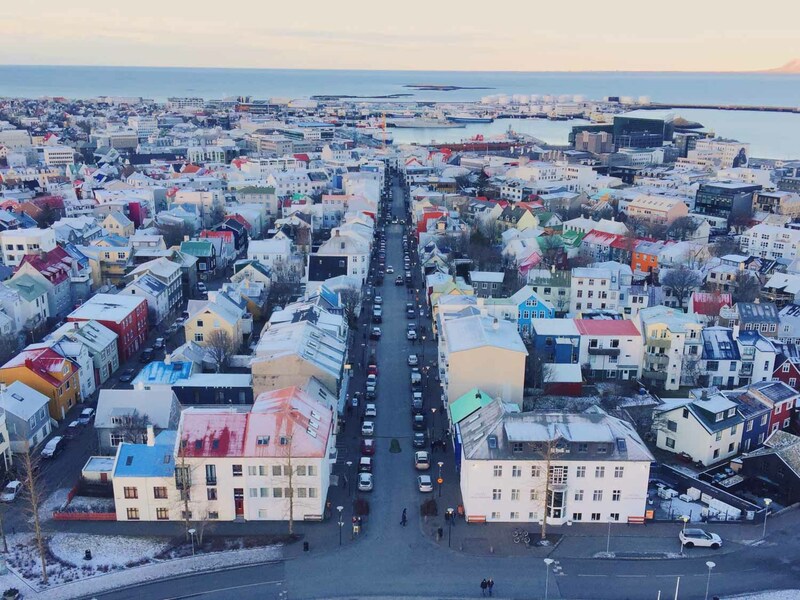 We wanted to experience its thermal waters, glaciers, black sand beaches, northern lights, ice caves, waterfalls and get a taste of Reykjavík city. 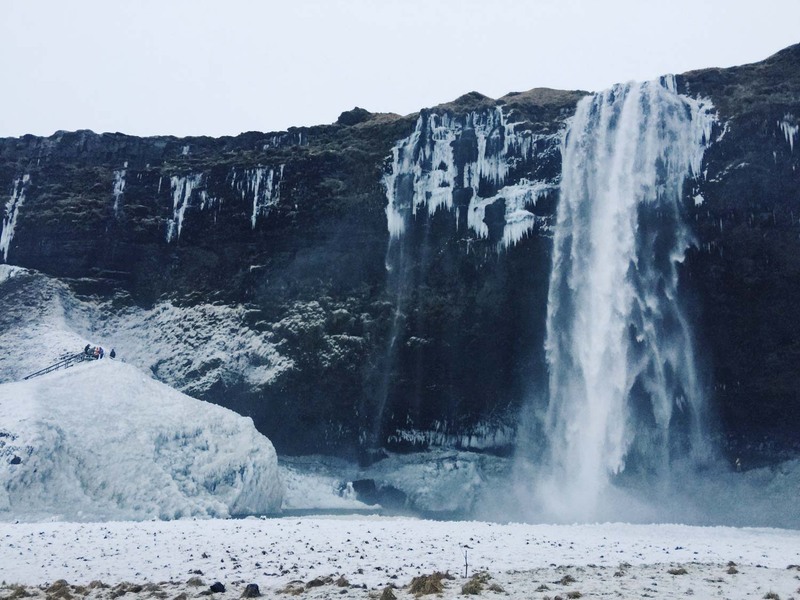 This 5-day Iceland itinerary managed to do just that. As regular readers of this blog will know, we’re not the types of travellers who like to rush around ticking things off a ‘must see’ list. Instead, we choose the things that are most important to us, and try to fit in moments of calm amid a packed itinerary. Unlike some of our longer trips, our Iceland itinerary certainly doesn’t fit into the category of slow travel, and we managed to fit a lot into our five days in Iceland. Of course, it would have been nice to have a longer amount of time, and we do intend to return for longer during the summer, but for the time we had, our itinerary worked really well. We went to Iceland in January, in the depths of winter. If you went during the summer months, your experience would be very different, but this itinerary (aside from the ice caves and northern lights) would still work. 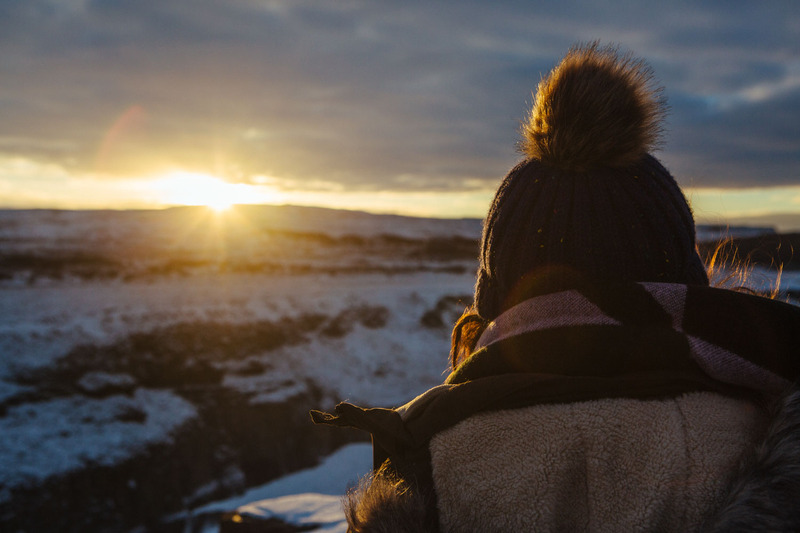 The main thing to consider when travelling in Iceland in winter is the weather, because it changes quickly and often, which can affect your travel plans. You need to be flexible and ready to make changes. On the upside, wintry Iceland is stunning and coincides with a time when the northern lights are active, and when you can visit ice caves. The light at this time of year is amazing as the short days mean it feels like a perpetual golden hour of sunrises and sunsets. Prices are also a little cheaper than in the summer. If you’re wondering what to pack, I’ve written a detailed female packing list for Iceland in winter. 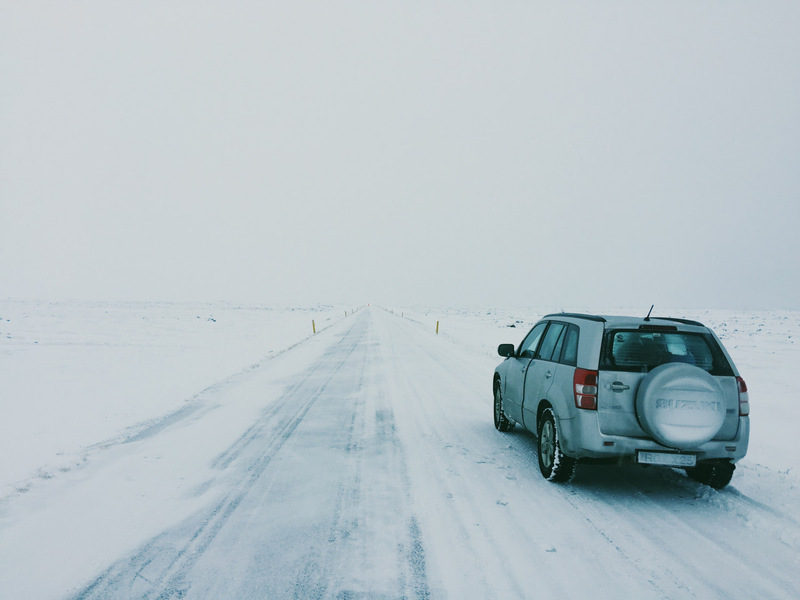 Driving in Iceland in winter is not recommended for the faint of heart, and it isn’t necessary to rent a car if you don’t feel confident. 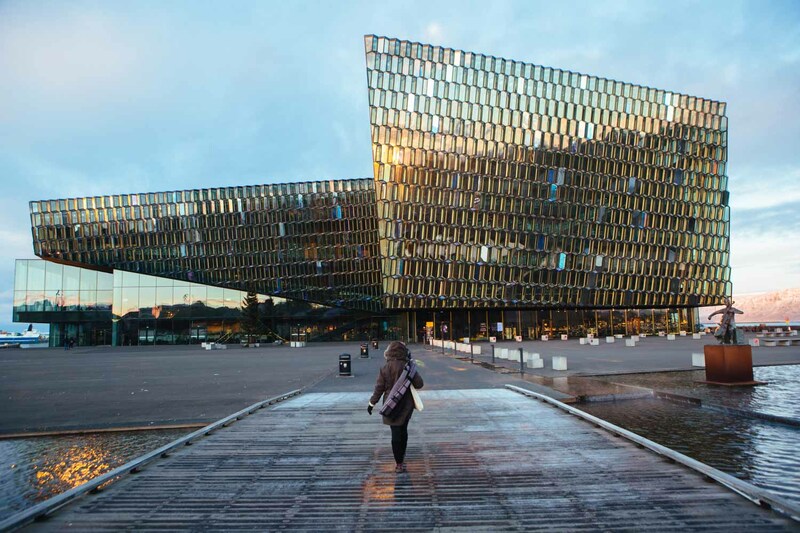 You can base yourself in Reykjavík and take tours instead of driving yourself. I would highly recommend doing this if you have any concerns about driving or have never driven in icy/snowy/very windy conditions before. There are many accidents on Icelandic roads, and an increasing amount of incidents involving tourists. Don’t be one of them! Although I was very hesitant and nervous about the idea of driving in Iceland, Steve is a confident driver with experience driving in difficult conditions, so he was happy to be the driver. Hiring a car gave us a freedom that tours wouldn’t have, and we enjoyed exploring the country by ourselves. However, we were very cautious and researched a lot about how to drive safely. The two key things, once you’ve decided you’re confident you can drive, are choosing the right car and keeping an eye on the weather. We chose a 4×4 from Sad Cars. Sad Cars hires out older cars than the mainstream dealers, which makes them a bit cheaper, while still being safe. When hiring a car during winter, make sure your vehicle has studded tyres (all of Sad Cars vehicles have them). We’d also recommend a 4×4 because although you do see many 2-wheel drives on the road, we felt safer in the 4×4, plus we did see one normal car stuck on a hill because of the ice. The other absolute must is to keep checking thevedur.is, road.is and safe.is sites. If there are any weather warnings for the area you’re meant to be driving in, then don’t risk it. We’ve heard of 4x4s being blown off the road in storms, so warnings are not to be taken lightly. The website road.is is particularly great as it gives up-to-date status reports on all the roads in Iceland, ranking them from easy driving to difficult conditions. If we had seen that any of the roads were marked ‘difficult’ for the drive ahead, we wouldn’t have risked them. We did, however, drive on roads that were marked as ‘extremely slippery’ and ‘wet snow/ice’. We drove very slowly during those times and our car (and Steve) handled it well. The road.is site is updated constantly, and it’s no joke that the weather in Iceland changes quickly. A clear sky can turn to a blizzard in seconds, so do keep an eye on those sites throughout the day. And one final thing about driving: check the sunrise and sunset to avoid driving in the dark. You can add around an hour before sunrise and an hour after sunset for twilight time where it’s still quite light. All that said, driving in Iceland wasn’t as bad as I’d anticipated and I never felt unsafe. This was down to Steve’s capability and also the state of the roads and weather. We were lucky not to meet any high winds or storms. Also, our route was chosen with safety in mind. It consisted entirely of paved roads and is a well-travelled route. A lot of Icelandic roads are unpaved and some are impassable during winter. Many of these are in the north or centre of the country, hence why we chose to stick to the south. We intend to drive the ring road on a summer trip. If you do choose to drive in Iceland, the websites I mention above are essential, which means it’s really important you have a smartphone with internet access. I have a Three contract, and Iceland is a Feel at Home destination so I used my phone as normal while there. If your provider doesn’t offer a similar service, you can buy an Icelandic SIM card for the time you’re there. We had 3G/4G access on nearly every road we went on with just a few spots of no service along the way. Iceland trip cost: Is Iceland as expensive as people say? There’s no denying Iceland is expensive. We live in England so we’re used to high prices, but the costs in Iceland were definitely higher. Food is expensive because most things are imported. We saved a bit of money by self-catering for part of the journey. We went to the local supermarket in Reykjavík and bought some pasta, pesto and spinach. We could have saved more money by bringing this with us from home. Alcohol is also expensive because it’s heavily taxed; a glass of wine will set you back about £9. The trick is to pick up a bottle in duty free and bring it with you. We did that so we could enjoy a glass of wine in the hot tub on our second night. All our accommodation cost around £150 per night for a double room, but the rooms were quite heavily reduced on booking.com and would cost more depending on the time of year/availability. For example, we stayed in high-end apartments in Reykjavík, which were priced at £150 on booking.com for that particular night, but are normally around £2oo and more in the high season. However, you can stay in a double room in a hostel for around £120 as a standard price, and dorm beds are, of course, cheaper (around £26). How is Iceland for vegetarians? Iceland’s cuisine is focussed primarily on seafood and lamb, so it’s not easy being vegetarian there, especially outside of Reykjavík. However, for five days, we fared pretty well and didn’t get bored of our options. There are plenty of places serving vegetarian food in Reykjavík, and outside of the city, nearly all the places we encountered had at least one veggie option. It tended to be unimaginative, for example frozen veggie burgers, tomato pasta, or pizza, but it was at least something. Also, the hot chocolate is amazing, especially when you’re feeling cold. Drink as much as you can. Iceland has a huge amount to offer tourists, from well-trodden paths with plenty of guided tours available, to far less explored terrain that you can venture to by yourself. Some of the less trodden areas are more difficult, or sometimes impossible, to access in the winter. For example, all the roads in the highlands were closed when we were there in January. Remember to check road.is before you set out on your journey. One of the most popular things to do in Iceland is drive the entire ring road (route one) plus the Snæfellsnes peninsula. Although this would technically be possible within five days (it takes around 19 hours to drive), we felt it would be too rushed. We also didn’t want to risk getting stranded by the weather. We intend to return and do this in the summer months over a leisurely two-week period. We decided our itinerary based around a few key things: seeing as much spectacular scenery as possible; trying to see the northern lights; and visiting an ice cave. The ice cave near Jökulsárlón was the furthest we travelled from Reykjavík. If the weather had been bad, we might have cancelled our trip to the ice cave to avoid being potentially stranded by the weather. Many of the things we did could be put in the “very touristy” category – for example the Golden Circle – and there were lots of crowds in places like Gullfoss, Seljalandsfoss, Skogafoss and the ice caves. However, even with the crowds, these places were still special. And because we drove ourselves, it was often just us and the Icelandic landscape – there are very few cars on the road. We were in Iceland during the off-season, so I imagine the crowds would be a lot bigger in summer. If you don’t fancy driving, our route could be replicated by booking tours, for example with icelandtravel.is. We used them for our northern lights trip, which was brilliant. Tourism in Iceland is booming and unfortunately many of those visitors aren’t treating the country and its nature with the respect it needs. There have been many fatal accidents in the country as a result of tourists’ negligence/unawareness. As I’ve already mentioned, driving in Iceland can be difficult, and inexperienced drivers attempting the icy roads are one of the key causes for accidents. Don’t be one of them! Many tourists also ignore safety warnings about Iceland’s landscape –for example walking on glaciers unguided, or taking a dip in icy waters. The amount of times we saw people taking unnecessary, dangerous risks was shocking. One thing I was particularly struck by was a photo in the newspaper of tourists climbing over a safety barrier to get closer to the seafront at Reynisfjara beach – a woman had died there just two days before when a huge wave had unexpectedly crashed and pulled her out to sea. There are warnings about the unpredictability of the waves all over the beach, and in the days following, there were barriers, but still tourists were ignoring them. Always read the signs – they’re there to protect you. Also, never drive off-road – it’s illegal and will destroy the landscape you’re there to see. Reykjavík has a reputation for being one of the world’s coolest small capitals, and we can vouch that it lives up to its name. It’s set on the seafront, against a magnificent mountainous backdrop and, when the cold air bites, there are plentiful cafes and bars to cosy up in. We heard that every other person in the city is in a band, and sure enough, the first person we asked was a musician. Iceland is home to an inordinate amount of brilliant artists – from Bjork to Monsters and Men to Sigur Rós and, most recently, Kaleo. All started out in Reykjavík, and the city hosts many festivals throughout the year. Sadly, our visit didn’t coincide with any, but we’re keen to return for one another time – perhaps Sónar or Secret Solstice festival. We also weren’t in the city on a weekend night, so we didn’t witness its famously raucous nightlife. Drinking is a very popular pastime in Iceland (despite the extortionate prices). We did, however, visit a few cute bars and cafes. We spent most of our time in the city simply wandering around and taking it all in, especially on day one. We also used it as a base to visit the Blue Lagoon and go on some Northern lights tours (on day four and five). But despite spending three nights there, we only had roughly one full day in the city. We intend to go back for longer next time, as we barely scratched the surface. One essential thing to do is go up the Hallgrímskirkja church tower, which gives you a great view over the city. It’s where you can take that iconic photo of all the colourful houses leading to the sea. Other good photo opportunities are the striking Harpa concert hall; all the cute buildings; and the plethora of interesting street art. Our day one looked roughly like this: collect hire car; drive to hotel; eat lunch; go up Hallgrímskirkja church tower; stop for coffee; walk around the city and along the seafront; go for dinner and drinks; take a walk up to Perlan. We also booked a Northern lights tour for that night but it was cancelled because it was too cloudy. I’ve written more about these tours on day four and five. For our first night in Reykjavík, we stayed at 41 – A Townhouse Hotel, and for the final two nights we stayed at The Swan House, which I’ve written about on day four/five. 41 – A Townhouse Hotel is a new apartment hotel on the main shopping street, Laugavegur. You can’t beat the central location – it’s ideal for walking anywhere in the city, and there are plenty of shops, bars and restaurants on the doorstep. The apartments themselves are sleekly decorated with all the mod cons – including a fully equipped kitchenette. You even get a mobile phone for the duration of your stay. The dark decor creates a cosy haven from the cold, and the bed is sumptuously comfortable. We also loved the spacious, tiled bathroom and yummy Scandic toiletries. We stayed in one of the larger apartments, which included a stylish lounge space. When we were in Reykjavík, rooms at 41-A started at £150, and it seems you can get this price when booking last-minute on Booking.com. However, the face value for a room is set at £400. If you can get the discount, then this is incredible value for a high-end apartment in the city. You would pay the same (around £150) for a private room in a hostel. Book your room at 41-A now. 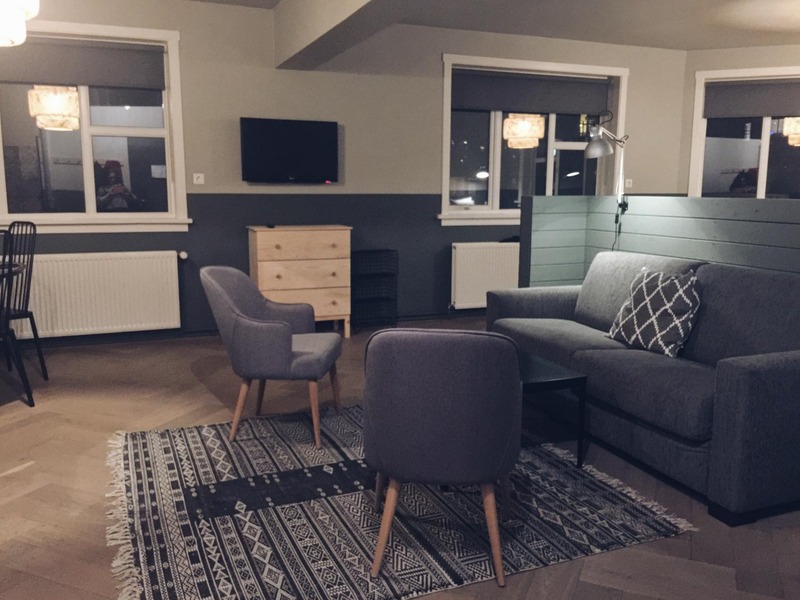 However, if you can’t get the discount and the price is too high, we also hear good things about many of Reykjavík’s hostels, including Kex, Hlemmur Square, Oddsson, and Bus Hostel. We also stayed at The Swan House apartment hotel, which you can read more about under day four. Our favourite find in Reykjavík was a soup restaurant called Svarta Kaffid, recommended by one of our friends. Soup at Svarta Kaffid is served in a bowl made from bread, and both times we went there, we enjoyed hearty servings of deliciously warming soup (Mexican bean one time, and leek and potato the other). 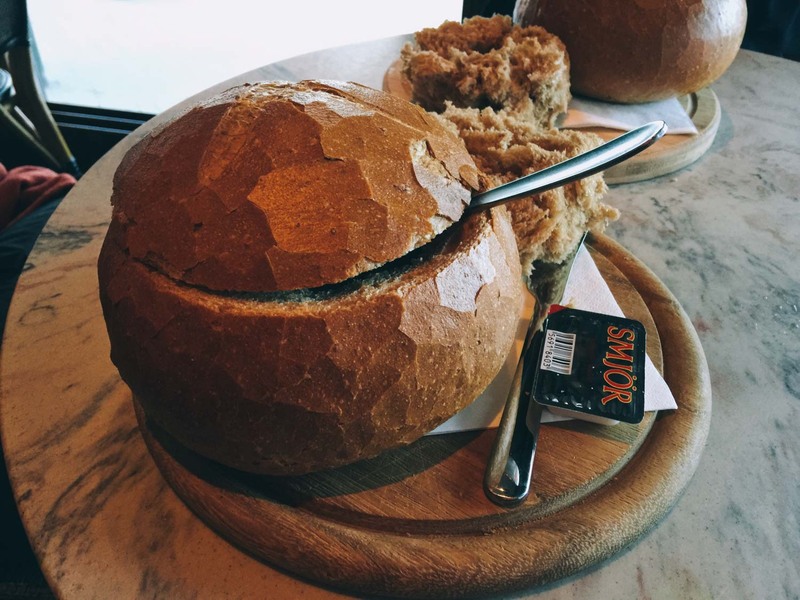 The prices are reasonable (for Iceland) at ISK1550 (£10) for a bowl of soup and more bread than you’ll likely be able to eat. For dinner on our first night, we went to a hidden pizza bar called Hverfisgata 12. It’s hardly a secret – it’s even in the Lonely Planet – but still felt like a hidden treasure. The speakeasy-style bar was filled with quiet celebrations in candlelit rooms, and we enjoyed sitting at the bar, watching the bartenders mix all manner of cocktails. I would definitely include it among the best bars we’ve ever been to. And the pizzas were delicious. Two drinks plus a pizza cost around £40. 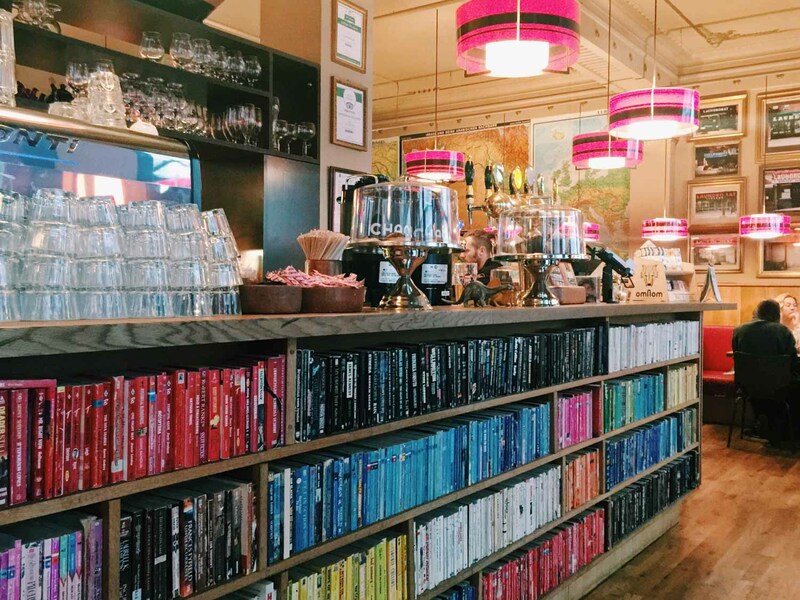 On our first day, we also stopped in at Cafe Babalu, a quaint little place with a mishmash of eccentric decor and a selection of hearty cakes. We also did some food shopping while in Reykjavík to stock up for the rest of our trip. The Bonus supermarket was just a few minutes from our house, and we bought ingredients for a pasta dish for our second night, some instant porridge pots for breakfast, as well as some snacks for along the way (we became addicted to chocolate raisins! ).We spent £25 at the supermarket, but in hindsight we could have saved money by bringing some pasta, pesto and porridge from home. You don’t need a car to explore Reykjavík, but we picked ours up from the airport as soon as we got there so it’d be ready for the next day. As I explained above, we chose a company called Sad Cars who hire out slightly older, but still completely safe, cars for cheaper prices than many of the mainstream dealers. We had a Suzuki 4×4 with studded tyres that served us well, even on icy hills. Sad Cars is about a five-minute drive from the airport, but they will pick you up from the arrivals hall. Reykjavík Keflavik Airport is about 40 minutes’ drive from the centre of Reykjavík. When planning your trip, don’t make the mistake of navigating to/from the domestic airport, which is much closer to the city. Once in the city, we parked in an underground carpark on Laugavegur near our hotel. It cost ISK80 for the first hour and ISK50 for every hour after. There’s a great comprehensive guide to parking in Reykjavík here on I Heart Reykjavík. The Golden Circle is probably one of the most visited tourist routes in Iceland. It’s easy to do as a day trip from Reykjavík and offers plenty of spectacular sights, which makes it a popular and obvious choice. As such, you can expect crowds, but we enjoyed it nonetheless. 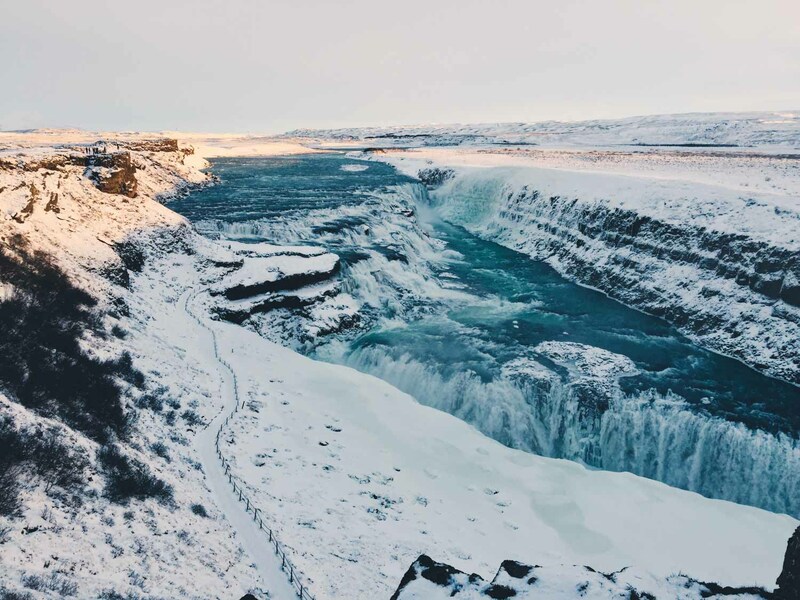 The Golden Circle route can be done as a round trip from Reykjavík, and there are three main stops – Thingvellir, Strokkur geyser and Gullfoss waterfall. But you can also add on lots of extra things too. For our trip, we decided to go to the geyser and waterfall, and to also go snowmobiling on the Langjökull glacier. This is as much as we could fit into the daylight hours. We also inadvertently went to Thingvellir after taking a wrong turn on our way to the geyser. 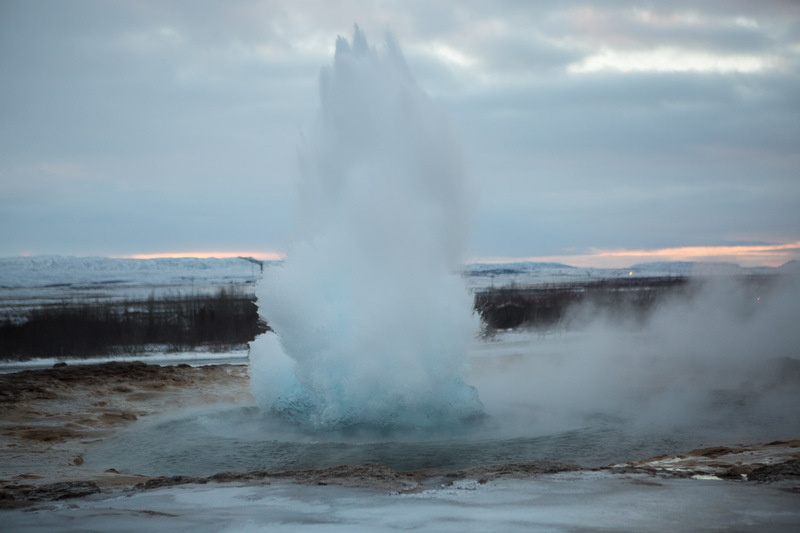 The Strokkur geysir is also easily accessible from the road. You park in the cafeteria/gift shop car park and then walk a few minutes across the road to the geyser. It shoots water up to 30 metres every 5 minutes or so, and is a spectacular sight to behold. If you time it right, you can get a great photo of the geyser’s bubble just before it bursts. Beware the path nearby the geyser can be really slippery. I was very pleased to be wearing studded shoes (Steve didn’t and he was slipping a lot!). Gullfoss was one of the most beautiful waterfalls I’ve ever seen. I think it helped that it was surrounded by snow and bathed in golden light – the colours were stunning. The waterfall is less than 5-minutes’ walk from the cafe/gift shop carpark and, like at the geyser, the path can get quite slippery in icy weather. There’s a wooden walkway from the cafe that provides a great view over the waterfall, as well as a lower path, which we didn’t brave due to the ice. Entry to both the geyser and waterfall is free. For our snowmobiling trip, we booked the ‘Meet us at Gulfoss’ tour with Mountaineers of Iceland. They also do integrated tours where they provide transport from Reykjavík and include stops at the three main Golden Circle sights. But it suited us better to drive ourselves and meet them there so we had flexibility on either side. The tour was one of the highlights of our entire trip. We met Mountaineers of Iceland’s huge monster truck at Gulfoss and were then driven up high onto the glacier where we arrived at the company’s base camp. They provided all the equipment – snow suit, gloves, snow boots, and helmet – and gave us a short lesson on how to snowmobile. We then set off across the glacier, one behind the other so no-one could get lost. The feel of whizzing across the glacier with snow as far as the eye could see was exhilarating, and when we finally came to a stop next to a mountain tip awash in pink light, Steve and I both simultaneously declared: “That’s one of the most beautiful things I’ve ever seen”. One thing to note on this tour is that your hands will be freezing. We advise wearing two pairs of gloves. The whole tour took about 3.5 hours, including one hour of snowmobiling (the drive there and back was about an hour). 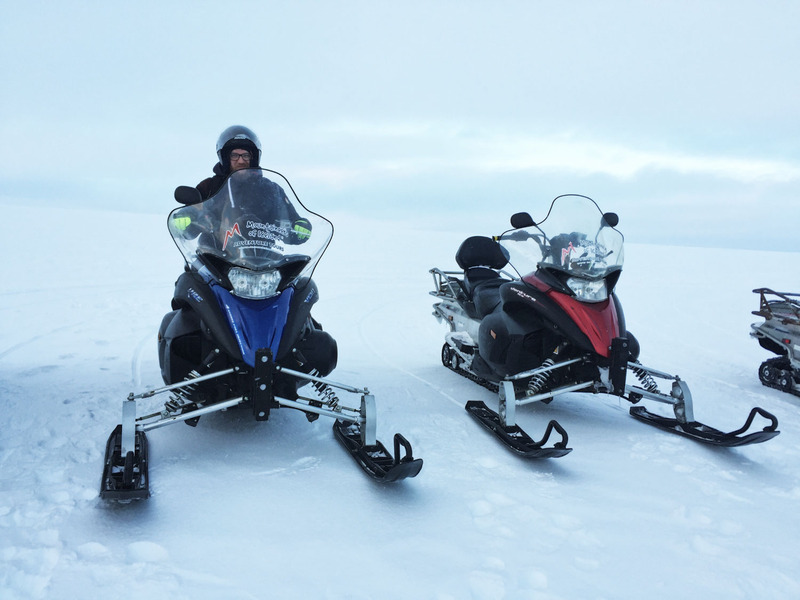 It costs ISK25,200 (£178) per person, and there are two people to every snowmobile. If we had more time and daylight, we would have added a few more stops to our Golden Circle route, including Fontana Spa, Fridheimar Farm, the Secret Lagoon, and the Kerid crater. Most people do the Golden Circle route in a day and return to Reykjavík to sleep. However, we wanted to spend a night in the countryside to up our chances of seeing the northern lights – plus I found a little house on AirBnB that I fell head over heels in love with. 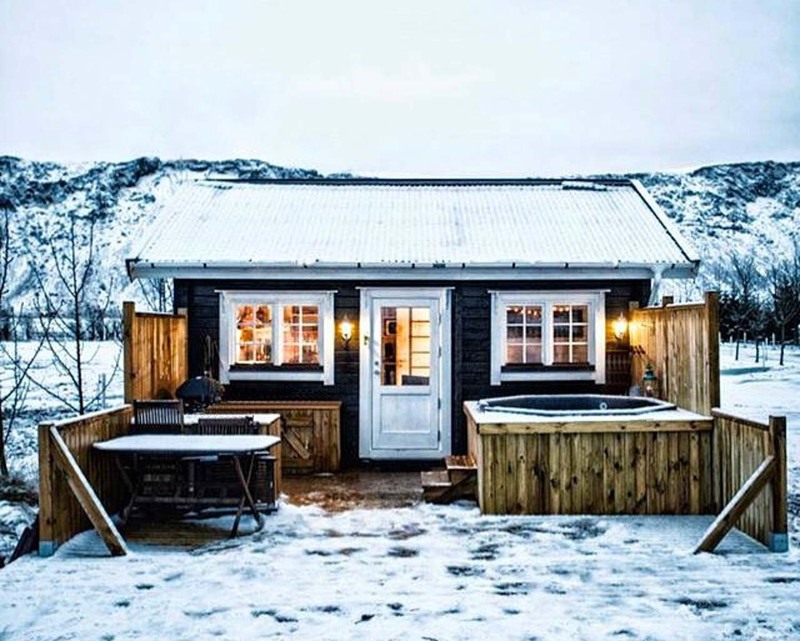 It’s definitely one of the best places we’ve ever stayed – a tiny little house in Ölfus, complete with an outdoor hot tub and mountainous backdrop. 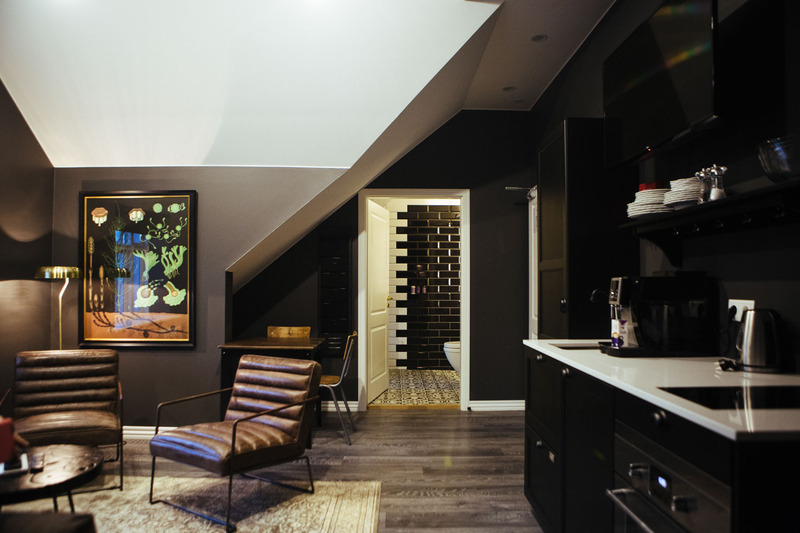 The house itself was super cosy, including a bedroom, lounge/kitchen, and bathroom, as well as an upper loft space with another sleeping area. We had a beautiful night, cooking for ourselves and soaking in the hot tub beneath the stars. Sadly, there were no Northern lights, but the experience was wonderful enough. I can’t recommend this place enough. Book it! (If you’re not already signed up to AirBnB and you use this link, you’ll get a £25 discount on your first booking). The house costs from £145 per night. We self-catered for the evening, and got lunch at the Gulfoss Cafe. They had a few veggie options, including soup and sandwiches. The cafe also serves an incredible hot chocolate, which was very welcome after our trip out onto the glacier. I can still taste it now! We would also have liked to go to the Fridheimar Farm, which has a reputation for serving an amazing tomato soup. We drove the Golden Circle route ourselves and found the roads trouble-free but, as with everywhere in Iceland, this could change with the weather. It is a heavily trodden route, which helps clear the road of ice/snow. To get to the glacier, Mountaineers of Iceland took us in the biggest truck I’ve ever been on – it was super impressive, and the only way you could possibly get there. The road is closed to normal vehicles. If you don’t want to drive, there are plenty of tour operators offering fully chauffeured trips, from bus tours to smaller jeep trips. Both Mountaineers of Iceland and Iceland Travel have good options. We spent our entire third day driving along the south coast from Ölfus to a tiny town called Hali near Jökulsárlón. Our main reason for doing this was because our ice cave tour left from Hali at 9:30am the next day, so we wanted to spend the night there beforehand. We stopped a few times along the way, and made it to Jökulsárlón by about 7pm. This was later than we’d hoped as it meant we had to drive for about an hour in the dark on very icy roads. We left Ölfus around 10am, so I’d recommend you leave a little earlier if you want to fit everything in and avoid night driving. The south coast is another tourist hotspot in Iceland, and there are many day trips departing from Reykjavík, but most don’t go any further than the town of Vik. There are some much lengthier tours that try to include everything we saw in one day but, if you have the time, I’d definitely try to split it over two days. And don’t try driving yourself all the way to Jökulsárlón and back in one day in winter. The tours go by Super Jeep, which is how they make it possible – and even then the whole tour takes 16-18 hours! The places we stopped at on our journey were: Seljalandsfoss and Skogafoss waterfalls, Seljavallalaug Zwembad pool and Vik. Both the waterfalls are beautiful and easy to access – there’s a car park alongside both of them. Seljalandsfoss is unusual in that you can walk around the back of it and see the waterfall from the other side. However, we couldn’t do this when we went because the path was way too slippery. In between the two waterfalls, along Route 1, is a little outdoor pool called Seljavallalaug Zwembad. It’s one of the oldest pools in Iceland and the photos look beautiful. Sadly, photos are all we’ve seen. Despite trying to visit, and following I Heart Reykjavík’s directions, we couldn’t reach the pool. The landscape changes often and a frozen river was in our way. It was impossible to cross so we had to turn back. We’ll try again in summer! We stopped for lunch in the cute town of Vik. The restaurants we’d hoped to try were all closed – it seems much of the town shuts down in the winter months – but we still enjoyed passing through and seeing the iconic little church that presides above the town. A popular stop we missed was the Reynisfjara beach. This was mostly due to time; we were already a little behind and wanted to limit our time driving in the dark. The weather was also particularly snowy/icy at this point in our journey and the hill to get down to the beach is quite steep. And finally, a woman had recently died there in a tragic accident so we knew some parts of the beach were closed. We decided it’d be best to save it for next time. However, if you replicate this journey, and time and weather are on your side, then it’s said to be a beautiful sight. Our final destination was Hali, a tiny little framing community with a couple of hotels and restaurants. We passed by Jökulsárlón on the way, but by this time it was pitch black, so we couldn’t see it at all. We returned in daylight the next day. That evening, we stood outside for a while, looking for the northern lights, but sadly they didn’t show before the sky clouded over for the night. If the lights had been active, and the sky clear, then this would have been a beautiful place to see them (there are some great photos of them on the hotel’s website). There are plenty of guesthouses along the South Coast. Many people like to break up their journey in Vik, but we chose Hali for the sake of ease (our ice cave tour left from there the following day). We stayed at the Hali Country Hotel, which is a simple but smart guesthouse. 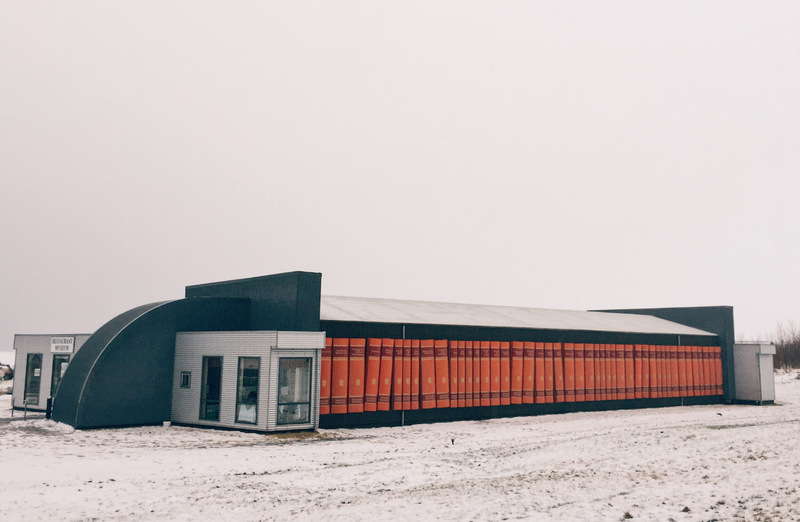 It stands out from the side of the road, as one side of the restaurant is shaped like a giant bookshelf in homage to a famous Icelandic author who lived there. Rooms at the Hali Country Hotel cost from £120 per double. Book your room now. A place we’d have loved to stay, about 30 minutes from Hali, is the Fosshotel Glacier Lagoon. It looked gorgeous from the roadside, illuminated against the mountains, and the rooms look stylish with beautiful views. Sadly, they didn’t have availability when we were there, but you could see if you have more luck. Book it here. We ate dinner at the Hali Country Hotel, which had a great selection of meat and fish dishes, but just one veggie main, and a mushroom soup. The soup was good, but the main course was a little odd – it included some vegetables, potatoes, and a veggie patty (the type you buy frozen from a supermarket). Our drive from Ölfus to Hali took about 9-10 hours including all the stops. In theory, the drive is meant to make about 4.5 hours, but the ice slowed us down. We were driving for around 6-7 hours in total. The route is simple, following Route 1 the whole way. The road is well trodden, especially up to Skogafoss where many tours visit every day. From Skogafoss onwards, the road was more deserted and therefore icy/snowy. There is one quite steep hill just before Vik, which is challenging in the ice. Our 4×4 coped fine, but we passed a normal 2-wheel drive that was stuck on the hill, unable to get up because of the ice. One of our key reasons for visiting Iceland in winter was to experience one of the ice caves. From the moment we saw a photo, we were desperate to see one for ourselves. They’re created when glacial rivers beds freeze over during the winter; each year they’re in slightly different locations, and formed in different shapes. 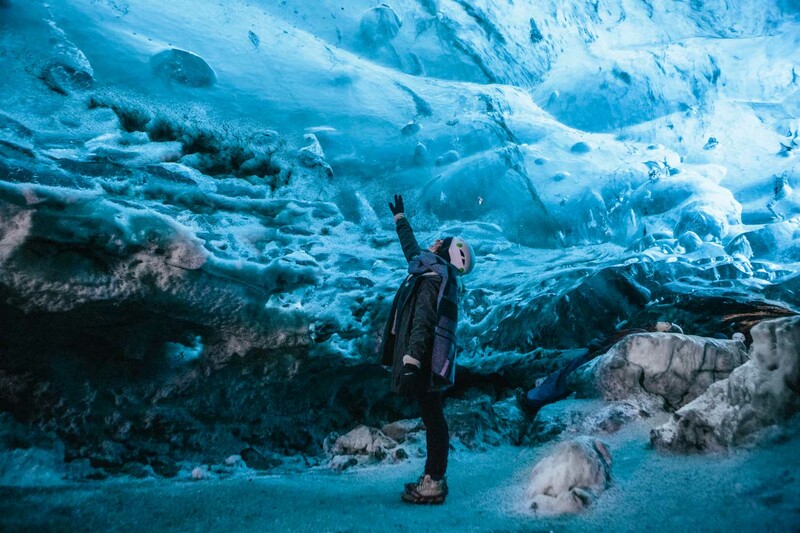 As with many things in Iceland, the ice caves are growing in popularity, and more and more tour companies are offering visits; the national park is currently working out ways to help stem the visitors and protect the landscape. We booked our tour with Glacier Adventures, one of the original tour companies who have worked in the area for years. They offer two different tours: one to the popular Crystal Cave, and one to a further afield ice cave, which they discovered themselves. The latter option is more intimate, avoids the crowds, and includes a hike across the glacier. However, this tour wasn’t available on the day we went due to the weather, which would have made the journey dangerous. We were actually very lucky to visit the Crystal Cave, and this is frequently flooded. Even thought the Crystal Cave can be crowded, it’s still a spectacular sight and certainly worth seeing. 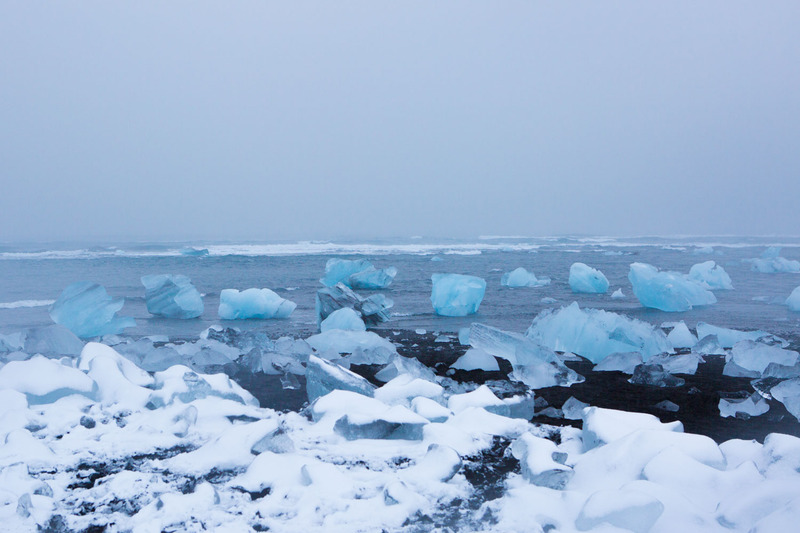 The shapes and spectrum of blues created by the ice are mesmerising, and unlike anything I’ve ever seen. Our guide was also brilliant – a local man from Hali who filled us in on the local and natural history and gave tips on how best to photograph the cave. I highly recommend this tour. It took around three hours in total, and cost ISK19,500 (£138). After the ice caves, we drove back to Reykjavík, following the same route as the day before (along Route 1), but this time stopping at Jökulsárlón to see the glacier lagoon in daylight. The lagoon lies just next to Route 1, and is a breathtaking sight as you round the corner and see the blue ice shards glittering in the water. The lagoon is formed from the melted glacial water coming from Vatnajökull glacier, and the chunks you see are part of the glacier itself. You can stop your car right next to the lagoon and follow a little footpath alongside it. Don’t try climbing on any of the ice blocks (we actually saw people doing this!). It’s also worth stopping at the nearby Diamond Beach where the glacier lagoon deposits the chunks of ice before they drift out to sea. It’s an incredible sight, and you can see why the beach got its nickname, with these huge glittering ice jewels twinkling on the blank sand. It was an overcast day when we went, and even then it was stunning – I imagine when the sun shines it’s even better. We arrived back in Reykjavík with just enough time to grab dinner and then head out on a Northern lights tour. 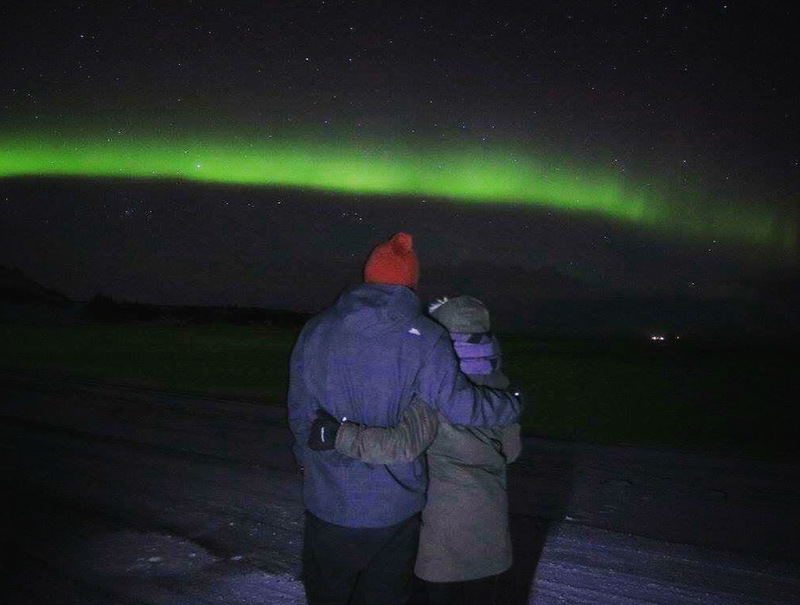 We booked our Northern lights tour with Iceland Travel, choosing the Super Jeep option as we liked the idea of it being a smaller group than a coach trip, plus the jeeps can go places that the coaches can’t, which ups your chances of seeing the lights. The tours only go on nights when there is a considerable chance of seeing the lights, which depends on the weather plus solar activity. There’s a northern lights forecast you can follow, which predicts the intensity of the lights, plus the cloud cover, but it isn’t an exact science. We booked a tour for our first night in Reykjavík, but this was cancelled due to too much cloud cover. As the tour was cancelled, we were able to re-schedule for another night. Also, if you do go out and don’t see the lights, most tour operators, including Iceland Travel, offer you another trip for free. This happened to us on day four – we went out on the trip, but the lights didn’t show up, so we were offered another tour the next day. Despite the lights not showing on day four, this first trip was still fun. We were in a convoy of around 15 Super Jeeps, all on an exciting mission to find the lights – it was similar to being on safari, and the vehicles themselves are seriously impressive. At one point, we drove through some rivers in the dark, which was particularly thrilling. And our driver was always on hand to answer questions about the lights, and keep us regaled with tales of Iceland. A highlight was when the tour guides suddenly produced a huge flask of hot chocolate for everyone, nicely topped up with a shot of warming vodka – who knew vodka hot choc was so delicious?! Book your Super Jeep trip here. For our final two nights in Reykjavík, we stayed at The Swan House , which was just around the corner from 41 A where we stayed before. Like 41 A, The Swan House is a perfectly located apartment hotel. The rooms are impeccably stylish in true Scandinavian style, and I coveted everything in there – from the roughly glazed pottery to the cosy blankets and wonderfully comfy bed. Our open-plan room was huge, including a sleeping, lounge and dining area. And the bathroom was sleek with a some delicious-smelling toiletries. It was an ideal place to stay. Our room was priced at £150 for the night we stayed, but this was a last-minute offer, and normally the rooms cost from £195. Even this is very reasonable for the quality of the room and the price of Reykjavík accommodation. Book your stay now. We saved a bit of money on day four by making sandwiches for lunch from the breakfast buffet at our hotel. And once we got to Reykjavík, we had very little time before our Northern lights tour, so we quickly grabbed a pizza slice from Pizza Royal for ISK600 a slice. It was nothing special, but a good price and tasty enough. Our first choice for a pizza slice was The Deli, which has great reviews, but this was closed on Sunday. Our ice cave tour departed from the Hali Country Hotel car park and returned us there around three hours later, which meant we left for Reykjavík around 12:30. We arrived back by 7pm, after stopping in Jökulsárlón for about 40 minutes. There was far less ice than the day before – in fact the snow had entirely cleared in some places – and we were driving for just under six hours. Once in Reykjavík, we parked just close to our hotel. We did something stupid and despite buying a parking ticket for our car, failed to put it on the dashboard, so we got a parking ticket the next day. It cost about 20 euros. Silly! Our final day was spent in Reykjavík and the Blue Lagoon. The northern lights tour ran quite late the night before, so we had a leisurely morning, enjoying brunch at The Laundromat Cafe. If we’d been more efficient, we could have visited some of the galleries/museums. 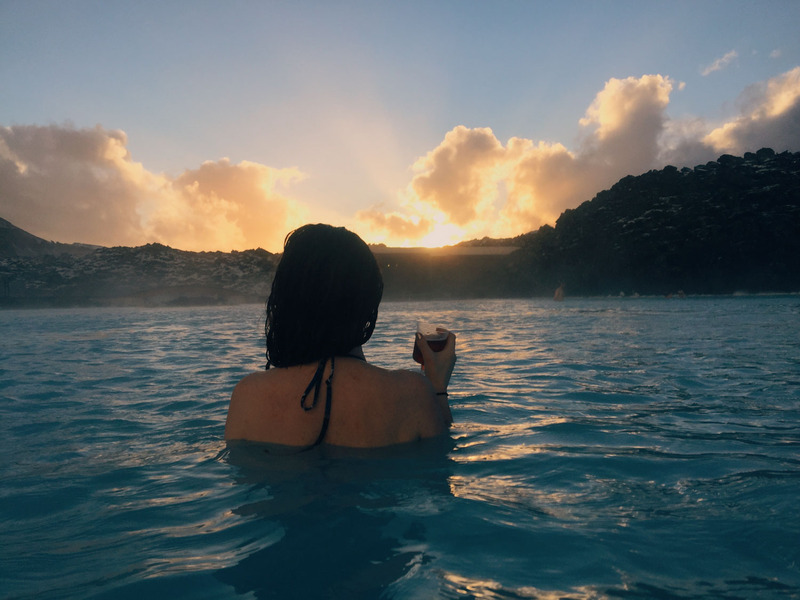 The Blue Lagoon is often a ‘must-see’ on people’s Iceland wish list, enticing tourists with photos of its milky blue waters and otherworldly landscape. As such, it’s very popular and many people are disappointed by the crowds. It’s also manmade, which can be a surprise to some. But these things aside, it’s still a beautiful place and the experience is definitely worthwhile. We enjoyed a blissful few hours, soaking in the water, indulging in mud masks and even drinking pink champagne from the swim-up bar. It wasn’t too crowded when we were there, meaning we could find our own quiet spots away from the tour groups. We experienced several seasons during our visit, from a hail storm to blazing sun. There are several different ticket options, and we went for the ‘comfort’ option, which cost ISK7,400 (£52) and included entrance to the lagoon, a silica mud mask, an algae mask, use of a towel, and the first drink of your choice. The most basic option (£38) just includes entrance and a mud mask, and more expensive options include additions such as a robe, slippers, a reservation at the restaurant, and spa products. We booked directly with the Blue Lagoon and drove ourselves there, but you can also book a tour from Reykjavík, which includes transport to and from the lagoon. It’s close to the airport so if your flight times are suitable, you could time your visit to coincide with your trip to/from the airport. One top tip while there is to slather your hair in conditioner before entering the lagoon as otherwise the minerals will dry it out. On day five, we did the same Northern lights Super Jeep tour with Iceland Travel that we had done the night before. This time we had more luck, and the lights did appear. However, when the lights aren’t very powerful, they only show up as white/grey to the naked eye. Your camera picks them up, so you can get some good photos, but what you see yourself looks very different. So, although we could see the lights, it wasn’t the spectacular display we’d hoped for. We feel like this was a taster that’s whetted our appetite to return. See day one and four for places to stay in Reykjavík. See day one for our Reykjavík food and drink options. 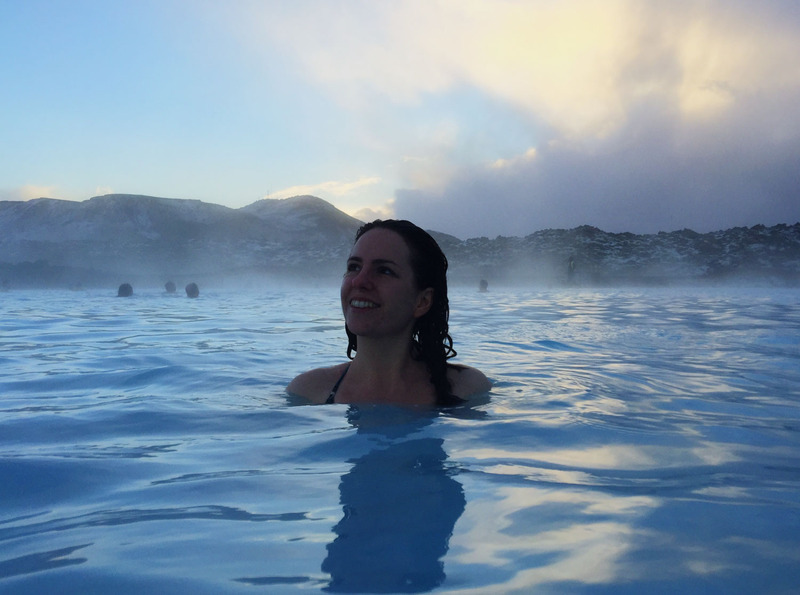 The Blue Lagoon is about 40 minute’s drive from Reykjavík, along the same road that leads to the airport. In icy weather, this road would be a little nerve-wracking as there’s no barrier between the fast-moving two-way traffic. We left Reykjavík on day six for our flight back to England, which left at 10am. If you’re planning a trip, be sure to check out our travel planning pages. We also have full, detailed itineraries for How to relax in Goa and Kerala; The ultimate South Africa honeymoon guide; How to make the most of 10 days in Japan; Finding hygge in Copenhagen, and 48 Hours in Dublin. See all our itinerary posts here. Disclosure: In the spirit of full disclosure, I want to let you know we didn’t pay for everything on this trip. We planned our trip entirely ourselves and then wrote to some of the companies asking if they’d like to partner with us, and some said yes. That’s one of the ways I make this blog sustainable. In no way did it sway our opinion. I’m continually frustrated by the lack of honesty on the internet, so I’m definitely not going to add to it! I spent 5 nights in Iceland in September, and it was the most magical experience! Oh yes, I’d love to go to Akureyri – definitely one for next time! This is awesome! We’re headed to Iceland in May for 5 days and have a very similar itinerary planned. We’ll also have our 8-month old in tow so we’ll be taking it slow and skipping all of the fun adventure stuff this time. Thanks for all of your tips! Hope you have an awesome time! There’s still so much you can do and see without the adventure bits. Enjoy! Victoria, such a great journey you had! What about renting a car in Iceland? I want to visit Iceland next year! Seems to me I’ll have to rent a packaged car, equipped with good tires and survival gear. O, thank you! I just missed it at first glance! So, motivated by your story I decided to visit this country next year. Whoa! you got me inspired here. What do you think one week should be enough visiting Iceland? I think, to see one or two places, a week is enough. If you want to have a full rest – three weeks should be better. Oh wow your pictures are so stunning! Iceland has been on my list for so long but I also find it to be so expensive so I keep pushing it forward. I really do love your summary of what you did with your 5 days here and am going to pin it so I can look back at it once I’ll finally go there thanks for sharing the experience and the pictures! It looks so cold. I went in March and it was cold enough for me then. I did a few tours as I didn’t feel confident driving in the snow. I would love to go back in summer though so I can do some hiking. Fantastic summary! I felt the same way about not rushing but I didn’t want to miss anything in Iceland! I’ve heard such great things of Iceland. I actually had no idea that its more expensive than england though, yikes! Everything looks really really beautiful! And that airbnb?! unreal! Loved this post! Such beautiful photos and extremely helpful information!! This is a great itinerary!! I have always wanted to go to Iceland, especially the Blue Lagoon! Thanks for all the tips! I love how complete this guide is!! And the photos are just stunning!! Ice caves seems such a surreal experience, I would love to visit those!! Now what disappointed me was knowing that the aurora wasn’t actually green to the eyes!!! You have managed to hand over a perfect tour itinerary to the readers. From travel tips to schedule, everything is so well documented. Adding to that are your pictures. Thanks for those. Fantastic post. I am looking to go in June so although the weather won’t be as bad still loads of useful tips. Not sure I will bother bringing pesto with me, knowing my luck it will break and I will have pesto smelling clothes!!!! Thanks for sharing a complete guide! Your Iceland trip looks quite amazing and pictures are surreal. It is on my bucket list. I’m pinning your post for my reference! It looks like you had a dream trip to Iceland! This is exactly what I want to do, 5 days packed with plenty to see and do, particularly the Northern Lights. The only thing holding me back at the moment is cost, because it’s definitely not easy to do on a budget. Thanks for sharing your highlights, I’ll definitely be back when I decide to book my own trip! Such amazing photos! I’m actually going to Reykjavik this summer and I’m really looking forward to it. Glad to know it’s such a cool, albeit expensive city. Not sure I would be brave enough to go there when it’s cold, though. I’ve been to Norway, Iceland and Alaska without seeing the Northern Lights so I know not to expect them! They are a natural wonder of the world too, I hope my luck changes soon! 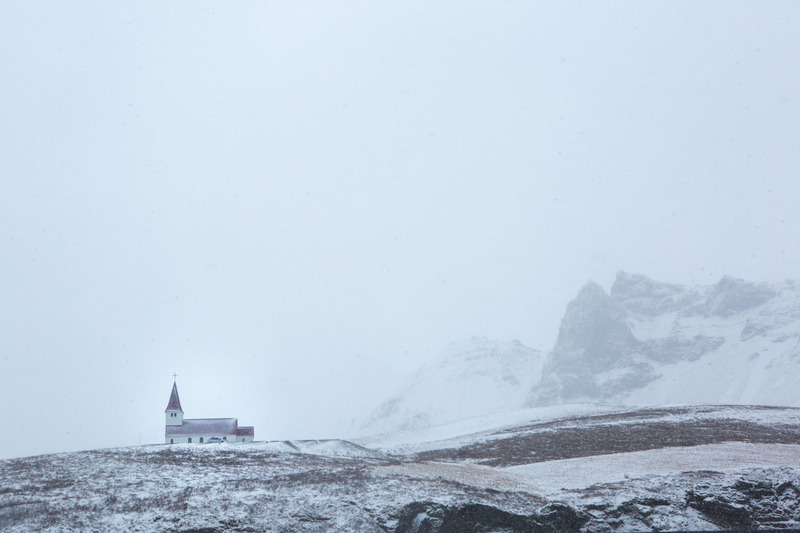 This is a great in depth post on Iceland, very useful even for me and I’ve been already! What a great blog! Thank you. This site has been very helpful in planning our trip to Iceland. Excellent. So pleased to know it’s been useful ? Hi, I’m obsessed with your Iceland post and have referred to it a few times while planning our trip. Thanks for the great winter itinerary. We are heading over in November. I have a question about your day 2. What time did you head out from Reykjavik to allow enough time to visit Thingvellir and Stokkur before heading onto your snowmobilling trip, and what time did you book your snowmobiling trip? I figured the 12:30pm would be better to ensure enough light on the glacier but want to ensure we have enough time at Thingvellir and Stokkur, as well as Gulfoss. Thank you. Hi Cassie, Pleased you’re finding the post useful! Our snowmobile tour started at 12:30 and the journey there from Reykjavik takes about two hours. I believe we left around 8:30 as we weren’t sure what the roads would be like and how long it’d take to get there, plus we wanted to stop at Stokkur along the way. This gave us enough time to spend about 30 minutes at Stokkur, plus see Gulfoss before the tour started and eat some lunch in the Gulfoss cafe. We didn’t stop at Thingvellir as we decided to prioritise the other two. We did, however, inadvertently take a wrong turn and end up right beside it. So that’s another good point – allow enough time for getting a bit lost! Hope that helps. Have a great time! Thank you for this brilliant post! I’ve been scouring the internet looking for ideas to help plan o.j. ur upcoming winter trio to Iceland and yours has been the best by far! Wonderful! And thank you! Have an amazing time! This blog is great, thanks for all of the info! A couple questions — for these budgets, is this per day or for your 5-day trip? Also could you expand on what “tours and entrance prices” include? This blog post is such a great resource. I will be visiting Iceland for two weeks in September this year. So not really winter-time but still loved reading about your adventures. Thanks for sharing your experiences with vegetarian food. As a fellow veg traveler these first hand experiences are very helpful. Will be following you from now on! Thank you for all the kind words! Have a great time in Iceland! Iceland is high on my bucket list, but the prices seem so high! Will have to save a little longer to be able to afford going there and trying fun activities such as the snowmobiling! Will save your itinerary until I get to go! Yep, it’s definitely one to save up for! Worth it though! This blog is so descriptive. I really like it. I would say thanks for sharing it. i’m researching for my october iceland trip, and i appreciate the comprehensiveness of this post SO MUCH! it will be super helpful, and i am also thinking about getting everyone those shoe grippers. the only thing is, i’m not 100 percent sure we would need them in october, and if we aren’t doing a specific excursion in an ice cave, but just for general walking if it’s bad weather. what are your thoughts? thanks! Hmmm, it’s hard to say, but I did use mine while walking around Reykjavik in the snow, and I also used them in Helsinki. They are pretty useful when it’s icy! Hi there. What a nice trip! Your plan for 5 days is well prepared. Winter is coming and it’s time for us with Snow land. I and my friends are finding a fascinating destination for skiing. It’s my first trip to go skiing, I’m so excited. By the way, Could you give me suggestion how to prepare myself and essential items I should prepare? Thank you in advance for your suggestions. I really love your post. Nice post! Thanks for this informative post. I like your writing style. There are many things to do in Iceland and I did most of the exciting things there. It was an amazing experience to be there. Thanks for a great post. We will be in Iceland in January and I am enjoying reading about your experience there. I wasn’t able to find where you stayed on Day 4. Did you stay in Jokularson? Can you please tell me your accommodations the day before you returned to Reykjavik? Sorry I wasn’t able to find it — thanks for your help! I’m glad you had such a great time. I’m dying to visit Iceland, and this itinerary looks great! Will save this for an upcoming trip ? Thanks for sharing!